Without a solid foundation, it’s impossible to have a stable home. The foundation is one of the most important components of any structure. There are different types of foundations, including a full basement, a slab, or a crawl space. The materials used to craft the actual foundation can include blocks, reinforced concrete, wood, pillars, stones, and bricks. If you suspect the brick foundation on your home is in need of repair, the job must be handled properly or else you risk creating even bigger issues. For instance, if you have the bricks insulated incorrectly, causing them to retain more water, your foundation is going to wear away even faster. 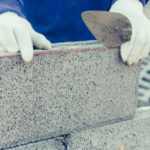 There are several options when it comes to brick foundation repair, and the right choice is going to vary depending on the project at hand. 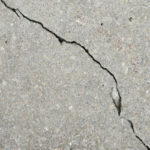 In this blog we will discuss signs of a damaged foundation, why foundations crack, as well as solutions to the problem. 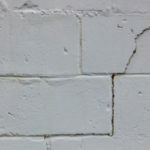 Cracks forming along the edges of your foundation, visible when walking around the perimeter of a building. Cracks on the inside walls, especially near joints or above door frames. If you can enter the crawl space, you may see the wall bulging in from here. At any sign of a cracked foundation you want to act quickly before the problem increases. No homeowner wants to hear that his or her brick foundation has a crack or other compromise in its stability. But with older homes this is an unavoidable topic. In order to prevent damage you will need to keep up with basic repairs and always be on the look out for signs of foundation cracks. In order to help prevent your foundation from needing serious repairs it’s important to understand what causes foundation damage. Water is often the cause of cracks in a foundation. If a lot of water is able to fill up the surrounding soil it will apply constant pressure to the sides of your foundation. It might seem harmless but over time this water has the power to push your foundation inward. Hands down, the largest contributor to foundation instability is water. Water can come from anywhere, and a problem way on the other side of a structure can lead to foundation issues. For instance, if there are massive leaks in the roof, this water can drain down to the lower foundation walls, causing frost damage that eventually destabilizes an entire foundation. If the foundation usually has moist soil surrounding it, it provides pressurized support. If the soil suddenly dries out, it will recede away from the outskirts of the foundation, this change can cause a shift in your foundation to occur. As the earth shifts here and there, over time your foundation can naturally start to wear away or shift out of place. This is why having older homes regularly inspected is very important. An earthquake or other seismic boom can also shift a home off of its axes. How Important Is It To Repair Your Cracked Foundation? Fixing your foundation is important for a number of reasons. 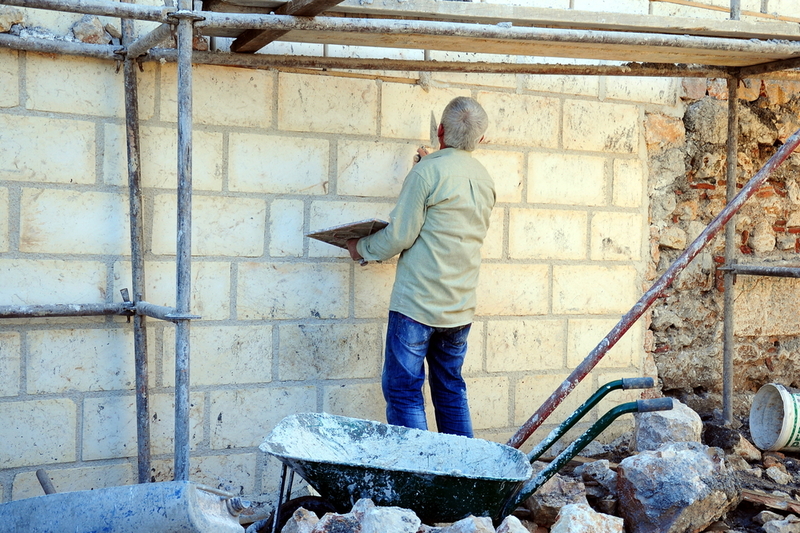 For starters, if foundation damage is left untreated, the walls themselves will begin to crumble apart with time. To preserve the value of your home. In case of an earthquake your home needs a solid foundation or else catastrophic damage is very likely. Untreated damage leads to even more problems. Vulnerable foundations give pests, water and other damaging elements an easy entry point to your home. Once the foundation becomes loose or unstable, so can the bricks that make up an entire building, leading to a complete collapse. DIY Foundation Fix: Is It A Good Idea To Fix Your Own Brick Foundation? 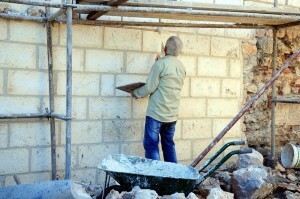 Are you debating if they should fix your own brick foundation, or hire someone to do the job? If your home or business has a cracked foundation the repairs might be very extensive, or rather simple. The solution has to do with a number of factors, including the type of foundation you have and the extent of the damage. If the issues with your foundation are minor, there are some DIY projects you can safely conduct. Such as, repairing and filling simple cracks or holes so that moisture doesn’t have the chance to seep inside. 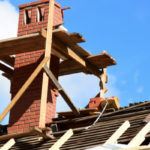 If you have no experience fixing something of this nature, or are unsure if your foundation damage is serious or minor, it’s best to call out a professional. After all, your entire house depends on its foundation for support. If you are concerned about your brick foundation, contact the pros at Turnbull Masonry today!